As of January 2017, the folks at Ron Lewis Alfa Romeo tell us they are very proud to be Pittsburgh’s only Alfa Romeo dealer. They are the only official retailer of Alfa Romeo models in a 50 mile radius from their 20839 Route 19, Cranberry Township showroom. ​They are one of only six dealers in Pennsylvania, and are gladly welcoming customers from around the country when they visit the Cortile this summer. Algar Ferrari is America's most storied Ferrari dealership in North America. Their story starts with Luigi Chinetti the famed sports car driver, who won multiple 24 Hours of LeMans races, and was the first to win one in a Ferrari. Chinetti made a deal with Enzo Ferrari in 1964 to become a Factory Agent in the US and opened the nation’s first Ferrari Dealership. Later the territory became everything east of the Mississippi. His original showroom is currently owned by Miller Motor Cars, a Ferrari-Maserati dealership in Greenwich, Connecticut. 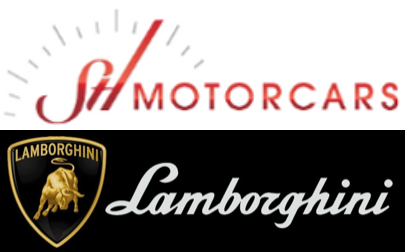 St Louis Motorcars has the distinction of representing the iconic Lamborghini brand in 2015. This is their first foray into the Pittsburgh market and came highly recommended by the members of the Lamborghini Club of Western Pennsylvania. Please be sure and visit their booth in the Cortile show grounds and give them a big Pittsburgh welcome. Mid Atlantic Sport Carshe Mid-Atlantic Sports Car Dealership was created in the summer of 2007. Long-time friends and businessmen Wayne Long, Rick Biafora & David Biafora had a vision more than twenty five years ago to create a car dealership that would be tailored to their tastes of foreign sports cars. 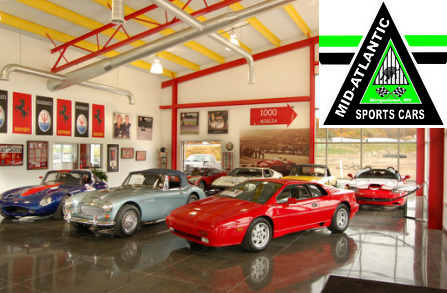 Mid-Atlantic Sports Cars is the result of their planning and research. Wayne Long mangoes the business brings a long history of being involved in the sports automotive hobby. Starting before he was five years old Wayne attended sports car racing events with his family. Richard Whiteman, Wayne's Uncle, raced Austin Healey Sprite's and Fiats at SCCA events as Wayne grew up. In addition to viewing racing Mr. Long chose to get more involved and started racing Motocross at age 14. After retiring from Motocross Wayne began competing in Auto-X events and has done so for more than twenty years. Since 2010 Wayne Long and MId Atlantic Sports Cars have sponsored and coordinated the entire Cortile Cup by bringing in some of the finest judges and hosting them for the Pittsburgh Vintage Grand Prix weekend. The Pittsburgh Parks Conservancy is a nonprofit organization that was founded in December 1996 by a group of citizens concerned with the deteriorating conditions of Pittsburgh's historic city parks. Since 1998 the Conservancy has worked closely with the City of Pittsburgh under an official public-private partnership agreement to restore the city's four regional parks: Frick, Highland, Riverview, and Schenley. The Westinghouse Memorial and Landscape, where the Sunday viewing and lunch will be held at PVGP’s thrilling Turn 9, is one of the Conservancy’s current restoration projects. Rapid Production Marketing, is a marketing consulting agency that develops strategies & tactical implementation to help business engage with customers & prospects. Programming starts with a review of overall market, segmentation, SEO & competitive environment analysis. They then develop sales channel marketing and media programming that includes aspects of website development, social media platform engagement, supply chain agreements, sales territory strategies, trade show event planning, brand development and public relations. All programming is designed with the goal of enabling your management team to gain marketshare and ROI. At the end we provide you with solid strategic intelligence AND a comprehensive tactical implementation plan. RPM is an experienced professional firm with broad-spectrum experience in start-up businesses including manufacturing, distribution and manufacturing agency companies. We take a holistic approach which leads to synchronous development of branding, identity, channel program and product development, business intelligence and social media programming. They bring a unique blend of marketing expertise, frontline direct sales experience, and in-depth technical knowledge combined to present systematic solutions for generating profit and market share dominance. Their Team is made up of industry specialists who "know a lot about a little" and we bring them together on an "as needed" basis to keep our value high and your costs low. They work with companies, organizations and investment firms to help them meet their strategic goals. Automotive photographer, Matthew Little specializes in capturing the uniqueness of both classic and contemporary automobiles. His work celebrates every car's emotion, style and soul by focusing on the elements that make a car whole. Matthew Little Photography offers fine art prints for display in your home, office and collector garage. Event coverage and private commission shoots can also be schedule. Please contact the photographer through Facebook or his email at mlittledesignstudio@yahoo.com to discuss your needs. Joining us from Gulf Shores, Alabama! Papa Vince was introduced to the making of EVOO at the age of 17 when working as an apprentice for the Knight of D'Stefani in the Castello of Rampenziri. Under his carefull watch, Papa learned the in's and out's on how to produce what he called "Medicine Oil". Our harvest starts about mid-October and ends about mid-November. Every year’s harvest is different. This is why Papa Vince's EVOO tastes different every year. 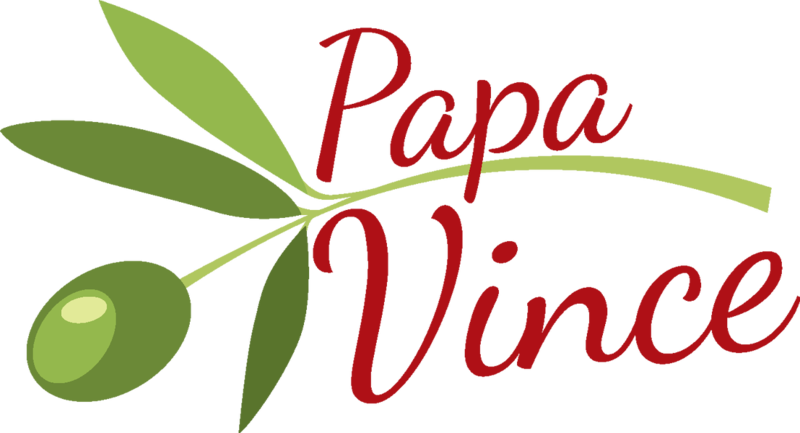 Papa Vince's Extra Virgin Olive Oil is extremely light, fresh, aromatic and flavorful with hints of tomatoes, artichokes and PEPPER. Yes, PEPPER! This is your assurance that Papa Vince's EVOO is indeed "OLIVE JUICE", full of anti-oxidants, enzymes and essential oils you need.